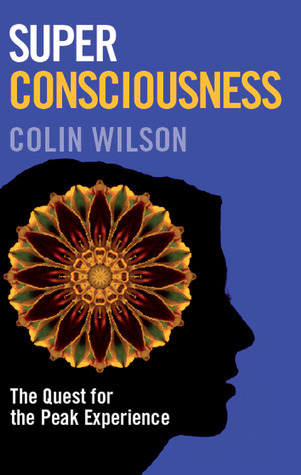 One of my summer holiday reads was British maverick philosopher Colin Wilson’s Super Consciousness. Wilson, now 82, became famous for his book ‘The Outsider’ which was published in 1956. Since then he has been preoccupied with social alienation, human potential and so called peak experiences. These experiences of “sudden overwhelming happiness, the feeling that life is wonderful” happen regularly to healthy people according to research by Abraham Maslow of Maslow’s hierarchy of needs fame. In Super Consciousness Wilson sets out to find how we can generate such peak experiences at will and how to reach levels of consciousness beyond normal “through the deliberate exercise of ‘imagination'”. To a futurist this premise sounds fascinating. Can imagining the future help us towards new levels of consciousness? Unfortunately, the book is not as exciting as it first seemed. It’s an ambitious attempt to summarize philosophy of optimism, with short and long passages devoted to the ideas of psychologists, philosophers and writers such as Maslow, William James, Camus, Derrida, Husserl, Joyce and H G Wells. It is a short book and it is sometimes hard to follow Wilson’s efforts to present the essence of the life work of each of these thinkers in relation to his own ideas of human potential. Wilson continues to say that Bertrand Russell “totally failed to bring his interior philosopher and human being into line”. This struck me as it relates to my earlier blog posts about the nature of the futurist and the nature of my futures work, in which I discussed the relation of reflection and action. So how do we futurists bring our interior philosopher and human being into line? How do we align our thinking and feeling about the future with our being and acting about the future? Developmental psychologist Susanne Cook-Greuter lists four aspects of vertical development, i.e. elements that are key to a shift in consciousness; doing (our behaviour), being (our affections and emotions in relation to others), cognitive (how we think) and awareness (of our thoughts, feelings and behaviour). Thinking about the future is something most futurists do automatically. Our work and often passion is to convince others to share this passion; to also think more and better about the future. This is one of our roles. But how do we develop our sense making and ourselves? We can certainly think more and harder about the future, but according to Cook-Greuter there are other aspects of development beyond cognition. How do we as individual futurists and how does the field of futures help move the intellectual pursuit that is foresight and strategic thinking towards strategic feeling, strategic being and strategic acting? I will probably always think about the future. Reading, writing and reflecting on the future has become almost instinctual in my behaviour. What I need to remember now is to act on the future. Feel the future. Lead into the future. Live in the future. Experiment. Bring my interior futurist and human being into line. Thinking about the future is easy. But being about the future is harder. For me the discrepancy between my imagination and cognition and my feeling, acting and being about the future is a challenge. The systems I am a part of seem very rigid and often stuck in the past rather than inviting me to create something new for the future. And I too sometimes seem stuck in the past. There is however hope in the lightness, simplicity and efficiency that I see among some communities, online platforms and organisations worldwide; spaces and communities with the ambition to build better systems than those which fail to inspire today. Soon we might see acknowledgement of interior development and utilisation of human potential beyond these pockets of early dreamers. And then there might be room for more people to experiment with super consciousness together. Imagine if our organisations were about maximizing the number of peak experiences for staff and clients. How might they be re-organised?